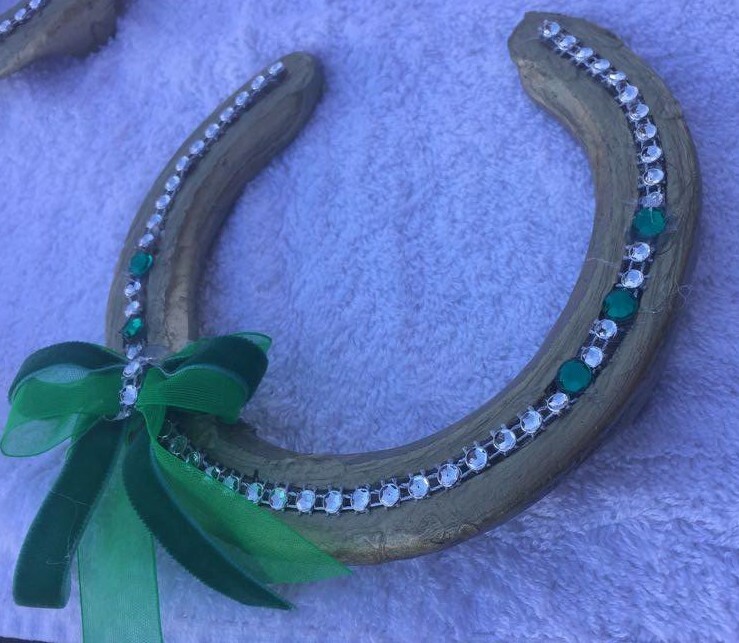 Are you looking for a unique and interesting gift for someone special who is horse crazy? Are you looking for a gift that will be a memorable as it is special? Then we have the answer for you! 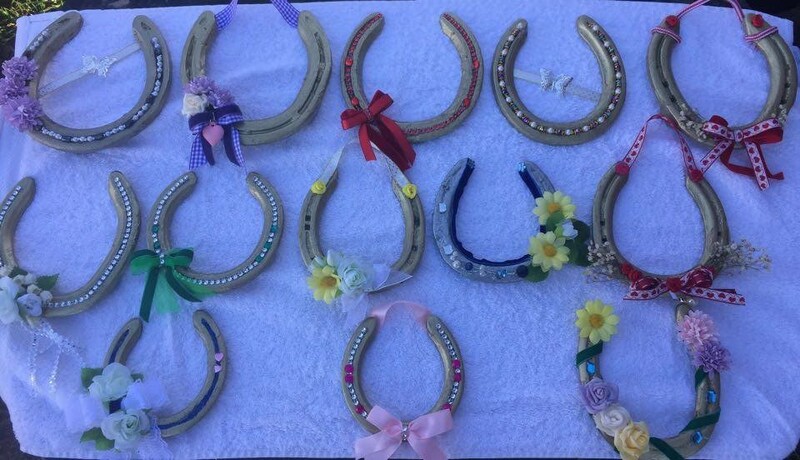 The Sunshine Gift Shop specialises in custom and hand created items that celebrates The Horses of Sunshine. 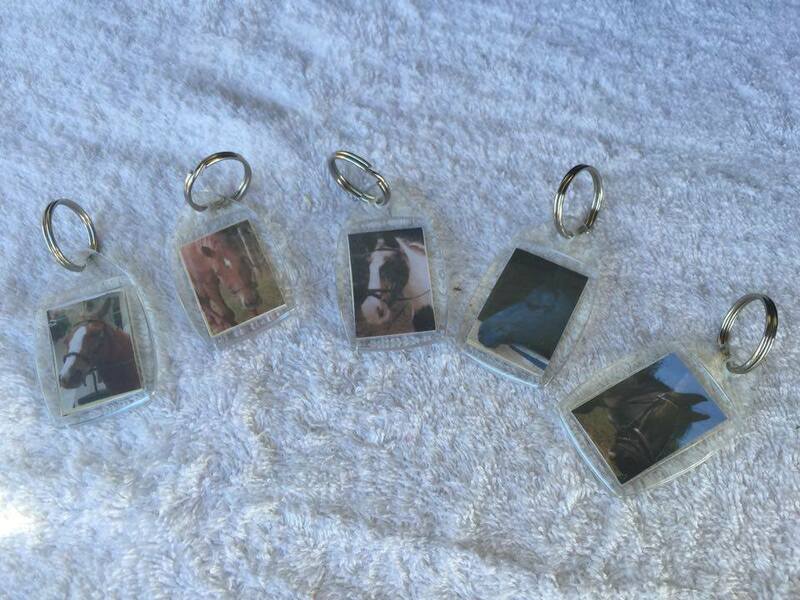 We offer key rings of all our horses for £2. 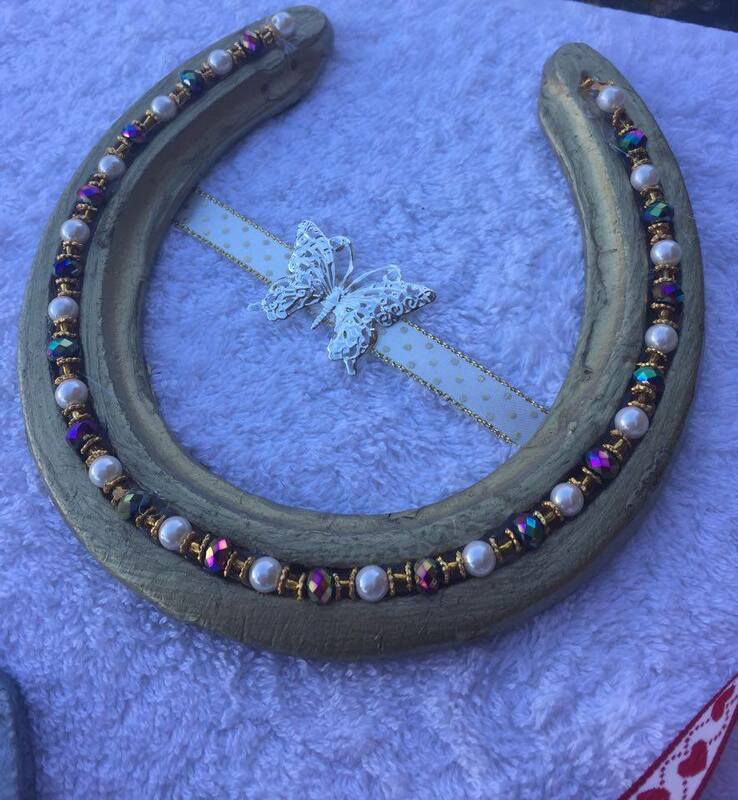 A perfect small token to remember that special pony! 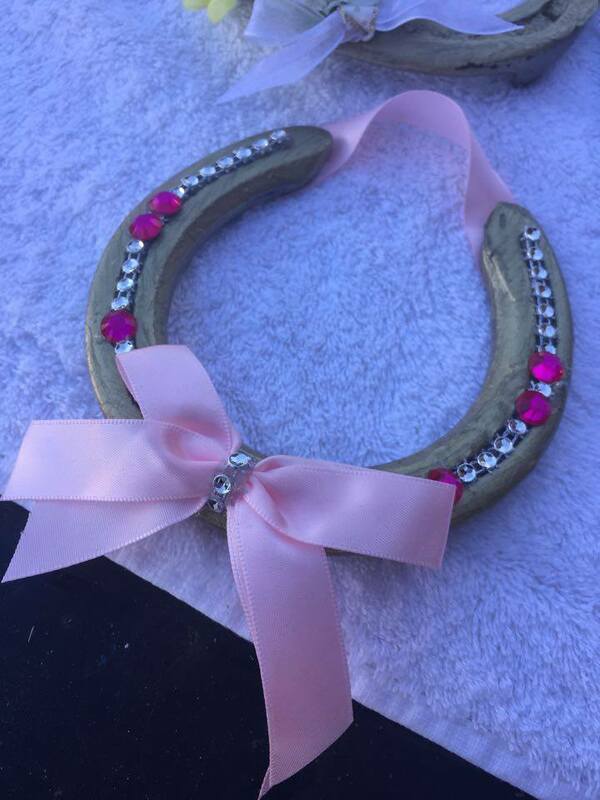 We have a variety of hand decorated horse shoes. Simple painted shoes are £5. More ornate smaller shoes are £12. Large shoes decorated with either flowers or beads are £15. Candles are a lovely touch and make a very special presentation. 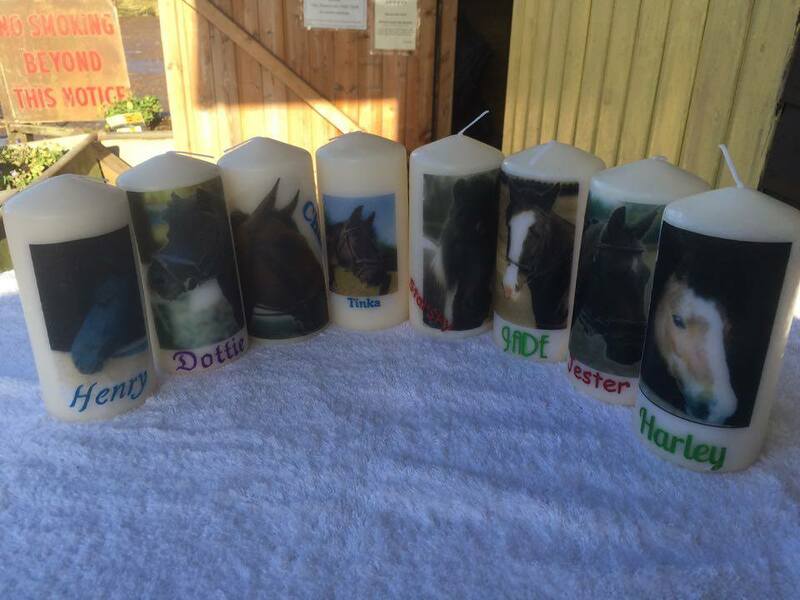 Our candles have the portrait of each of our horses or ponies. These candles can be lit, but it may cause a touch upset when the pony begins to melt! Each candle is £7. We are happy to create a personal and unique candle for you using your favourite photo or arranging a photo session for you, your child and the horse or pony of choice at no extra charge. 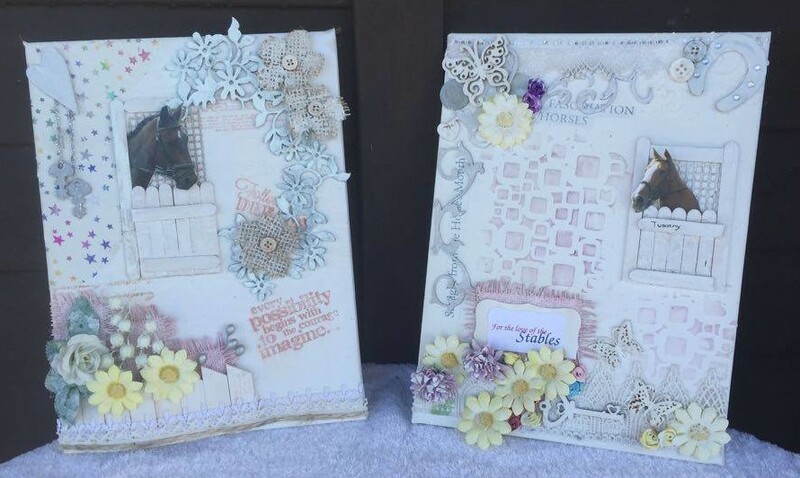 An exciting way to enjoy a piece of horse artwork is our Mixed Media Canvases. Filled with various textures and subtle colours, these object d’art can also be personalised with a photo of your choice or we are happy to use our horse gallery. These lovely frameless canvases sell for £20. Sunshine Riding School is happy to announce that we are working with the award winning photographer, Esme Robinson of Esme Robinson Photography, to create very special pieces. Esme spent an afternoon with us, photographing our horses in both the schools and the fields, and has produced a 3 separate items for you to enjoy. A beautiful acrylic block at £25, or a Photo Box at £35 make the ideal small gift. 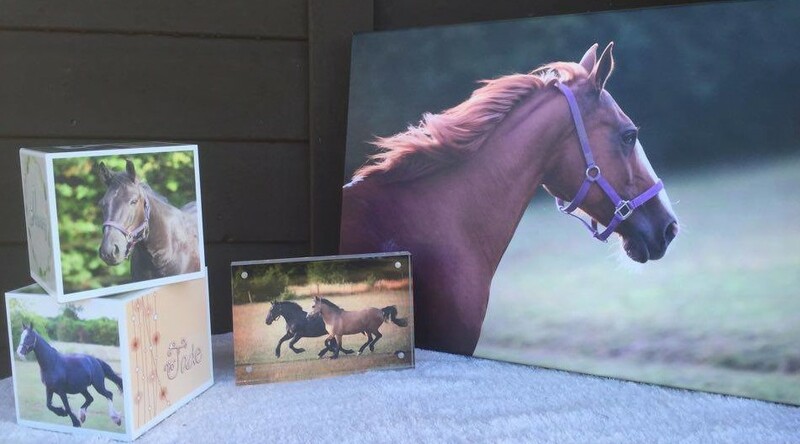 The Photo Box has 3 picture choices for you as well as the horse’s name. A stunning canvas can be yours £45. This medium sized piece is frameless and features the highest quality photo of the horse of your choice. Please note that these orders will require 14 days for production.